Small changes can make a big difference for smaller online retailers competing with larger merchants. Online retailers have enough to worry about simply merchandising and marketing their product. So, throwing warehouse operations into the mix can be overwhelming. Often times, optimizing warehouse operation practices takes a back seat to other divisions. However, the devil is in the details and many lack an appreciation for the savings that can be created when you take the time to streamline your warehouse operations. Below I’ve summarized six areas to consider when evaluating your warehouse operations. Arrangement of items is key to being efficient, but product knowledge, market knowledge, seasonality and demand all play a role in prioritizing and arranging products. Every step you take to fulfill an order has an effect on the product you’re shipping. GoPuff is a delivery service based in Philly that acts as “a sleek and effortless convenience store, smoke shop, and mini-mart right in your pocket.” GoPuff processes and delivers orders within an hour of the customer clicking the buy button. 85% of GoPuff’s sales occur from Black Friday through New Year’s Eve so it is critical that the organization is avoiding missteps along the way. GoPuff has arranged items in a way that minimizes the number of steps; they regularly optimize packing stations and train staff to know exactly where each item is stocked. GoPuff goes above and beyond to make sure everyone in the organization knows what to expect and how to expedite orders before their day begins. Adopting a Cloud Based WMS System can be critical to effectively processing orders while also integrating with the client facing side of the transaction. Typical cloud based WMS systems will range in price from $3,000-$6,000 per month. They also come with intuitive software that can read customer behaviors and alert the distribution center to potential sales. Fully autonomous systems can make for a costly investment, which makes identifying and focusing on key processes critical to maximizing a less sophisticated (less automated) system. Small retailers inevitably find themselves using their basement/garage as a distribution center which can create a huge headache when they outgrow their space. It is a good problem to have, but somewhere between the basement and a fully operational distribution center, small/mid-size retailers should consider connecting with a third party logistics (3PL) group that has an existing operation that will easily take over their operations. There are multi-tenant fulfillment centers like IFS and more traditional 3PLs like Wagner Logistics, Saddle Creek and Simtech that specialize in fulfilling orders for online retailers. 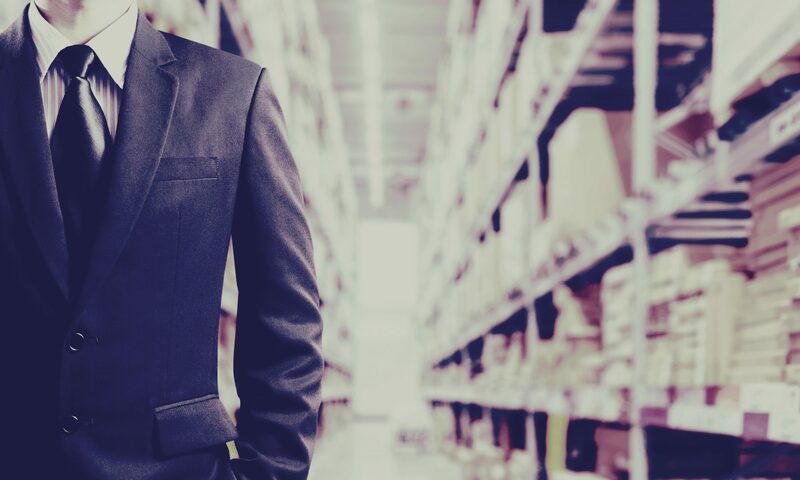 Even if retailers can justify outsourcing a portion of warehouse operations, it will free up time to focus on marketing and merchandising the product. Large retailers can use EoS to cushion inefficiencies in warehouse operations. Unfortunately, small/mid-size companies do not have that luxury. Smaller groups must be super disciplined with their operations in order to continue offering fast/free shipping options. The “laddered” approach is often used by small/mid-size retailers to offer faster shipping based on how much the customer spends. For example, if a customer spends $49.00 they are able to get free ground shipping. If the order is at least $99.00 the customer qualifies for free 2-day shipping. And any order totaling $200.00 or more qualifies for free overnight shipping. Retailers may also want to consider offering incentives to customers for shipping to a UPS Access Point or office address to reduce costs and have a reliable delivery address that is easier to access. Theory of dimensional pricing is easier said than done. It pays to keep a range of package sizes on hand to capitalize on space availability and accommodate less frequent bulk orders. Please also consider switching from boxes to cheaper poly bag mailers that take up a fraction of the space a box requires. Of course, if the product is fragile, poly bags may not work here. Apparel retailers love poly bags since clothes are durable and travel well. 6 Get an Edge on Shipping Rates. Consider using the cadence shipping method to achieve reduced shipping rates when a customer is flexible on the delivery date. The cadence method allows the company to ship in bulk when the orders get to a certain weight and can also save when fulfilling large international orders. The cadence method is also seen when you purchase separate items from Amazon or Jet. At the purchase screen you’ll typically see something like, “check the box if the items can be sent separately” in addition to discount offerings for orders that can be delivered more efficiently at a later date. Using the cadence method can bring in an average savings of 10-15%. I hope this was helpful and thanks for reading! Previous PostPrevious FASB Accounting Standards Update: Should I Capitalize My Real Estate Lease?